Almost ready for the clouds…. Or am I? Well, I finally bit the bullet and began my instrument training. Lord forbid I call it my IFR training. I have seen too many “Professional Pilots”, if you will, dog the student for calling it IFR and not instrument training so I will just knock that out now. After much review and asking a ton of pilots for recommendations, I ended up with the Sporty’s Instrument course. I have been working on it now for about 2 months but< in my defense, Fall is the busiest time of the year for me at work so that plays a major factor in my slackness. The other thing is, It’s hard, lol. Well, I don’t guess it’s really hard, there is just so much information to learn. In the Sporty’s course, there is probably 7+ hours of videos to watch and, well….. I’m on my second go around. I was only about halfway down to the runway the first time around, if you know what I mean. I find it a little strange that part of the “Instrument” course is high altitude flying and pressurized cabins. I’m not really sure exactly what that has to do with the instrument. I would think that more of a “Commercial” rating study. I have had a slow start to the flying portion, once again, due to my workload this time of year but, I should be in the clear now. 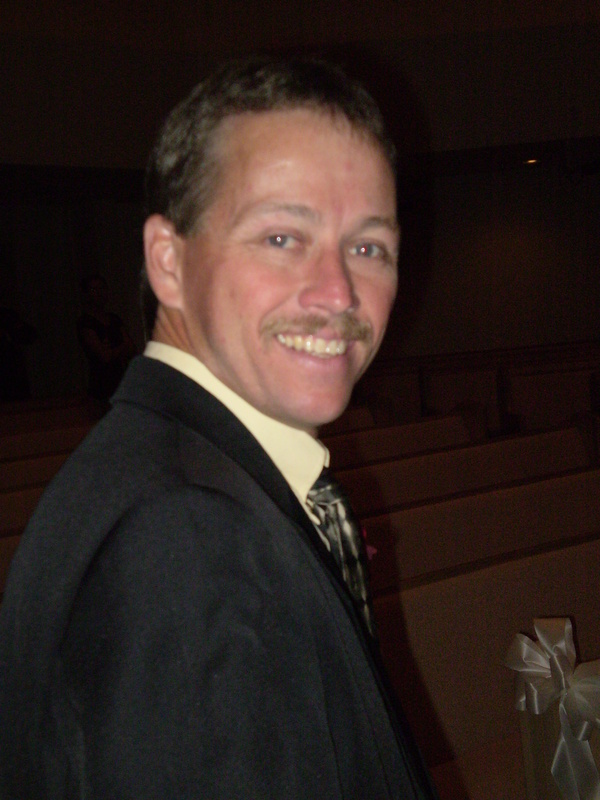 I use a local instructor and friend, Rodney Hardin. 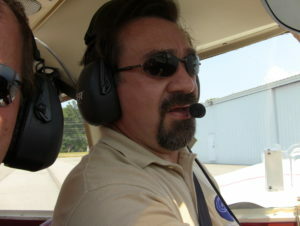 You can visit his web page at https://gaaero.com/ We have only had the opportunity to fly instrument once together. I have some instrument time prior to him but I do have a lot of time to make up. I’m really looking forward to earning that rating. Not only will it be a great accomplishment but will most certainly add to the level of safety for which I try to fly. I would like to hear your stories of training for your instrument and what you found to be the most challenging. I would also like to hear how it has changed your stick time. Be sure to leave a comment below and please share this story on your social media page. 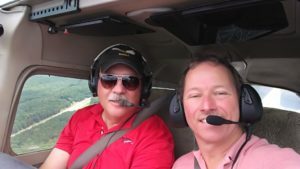 I have not had the opportunity to do a whole lot of flying over the past year or so because of the new job I took at Lighting & Production Equipment in Atlanta. This has certainly taken a tremendous amount of my time and energy. I am, however, now using my college degree, which is Television Production. I’m making pretty good money, for a change, and I am having a lot of fun at the same time. Summer is a slow time in the production business so I thought I would take advantage of the opportunity, knock out a BFR and get reacquainted with flying. I went down to a new doctors office close Atantas Hartsfield Jackson Airport by recommendation of an instructor friend of mine, Shawn Hardin, and upped my medical. I must say that out of all of the offices I have gone, this one takes the prize. Very clean and very professional so if you’re in the Atlanta area then go and visit Dr. Thomas Faulkner, MD. I will again. 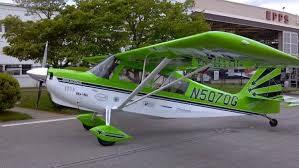 Next, I wanted to check out at one of the local flight schools or flying clubs, being that I don’t own an airplane so that I could just go when I wanted and fly. 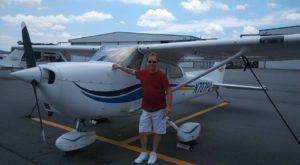 I chose Superior Flight School at KRYY in Marietta. 98% of my air time has all been in the old faithful, Cessna 172. Some of the local clubs and school have a few more options for aircraft but, for the most part, it’s the 172. It’s a very good bang for its buck, It’s very reliable and, not to mention, forgiving. Additionally, my BFR is coming up due in November so no better time than now to freshen up. I finally had the opportunity to go spend a few hours with an instructor last Saturday. 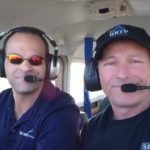 We flew a 2000 Cessna model 172S with a KLN 94. I explained that I needed to both check out and to take care of my BFR. We went through the old routine of standard, soft field and short field takeoffs and lands, power on and power off stalls, steep turns (my favorite) turn around a point and a little bit of pilot dead reckoning (among a few other tasks as well). Once back at the airport, he spent some time drilling me on the Far/Aim, charts, and navigation. At the end of the day, my instructor was happy with my performance and I now have another airplane to fly. Well, It’s time for one of those $100 hamburgers with the guys. There is simply nothing better than the smell of 100LL in the morning and the view from 3000 feet. Come on, let’s fly! We are having a fly-in at the Triple Tree Aerodrome to observe the Solar total eclipse on August 20 and 21st. Triple Tree is in the path of totality and should be a great place to watch this once in a lifetime event! Ok, you’re tired of doing the same old $100 hamburger run but you’re just itching to fly somewhere new and experience something different. How about a once in a lifetime experience…… at a once in a lifetime place, celebrated with hundreds of your best flying buddies? Here’s the Fly-In deal, on August 21, 2017, in the early afternoon, there’s going to be a total eclipse of the sun and Triple Tree will be almost directly under the path of the moon’s shadow! That means that it’s going to be “lights out” for about two and a half minutes during mid-day! Triple Tree will be one of the very best places in the world to experience this incredible event. Ideally, the experts tell us, to best view the eclipse, you need a clear view of the sky. Well, at Triple Tree, everywhere you look is SKY! We’re going to open the field on Sunday, August 20 at 9:00 a.m. for fly-in arrivals. Our world-class facilities will be open and non- premium camping spots will be available on a first come-first served basis. Please come prepared with food and drinks. We will have ice and bottled water available. 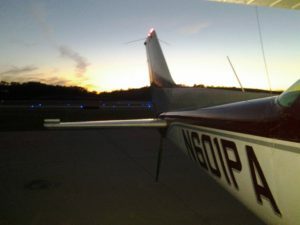 Sunday evening will be a great time to visit and socialize with all of your old and new flying buddies. We’ll have a bar open at the hangar and it’ll be a great social event! Monday evening, after the eclipse, there will be a barbecue dinner at the main hangar and adult beverages will be available. We may just bring out Tempus Fugit, our fabulous TF-51, for a celebratory fly-by! Departures should be planned before noon on Tuesday, August 22. Sunday evening -$8- bring your own grilling meat. We’ll provide grills, salad, green beans, and drinks. * Monday morning -$12- full breakfast catered by local favorite “A Taste of Home”. The only camping sites that may be reserved are our premium sites (60 amp electrical and water) and we will ask for a minimum donation of $250 for these. Persons reserving these premium sites will be able to bring their recreational vehicles on-site up to two days before the event for setup. On-line reservations will be available soon for these sites at www.tripletreeaerodrome.com. Please note that there is a limited number of premium sites available. Another camping site availability is virtually unlimited. Remember, Tripe Tree is a 501(c)3 non-profit so your donation may be tax deductible. Every cent donated to Triple Tree ultimately goes directly towards our efforts to “Ignite and Expand the Passion for Aviation” with local schools, scout groups, CAP cadets and others. We truly hope you will join us at the Triple Tree for this incredible fly-in experience. We promise it will “eclipse” any $100 hamburger you’ve ever had! 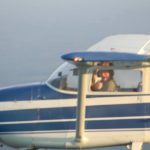 Joe Sarber, FBO manager at Silver Comet Field, (The Paulding Northwest Atlanta Airport in Dallas, Georgia, KPUJ) is doing his first solo towards his private Pilot Licences.